On 5 October 2016, the Council of Europe’s Committee of Ministers on ERRC vs. Ireland confirmed the Irish Government’s violations of Article 16 on five grounds covering insufficient provision of accommodation for Travellers, inadequate conditions of many Traveller sites; and inadequate safeguards in legislation and practice for Travellers faced with eviction. The ECSR’s latest update coincided with the conclusion of the inquest last week into the deaths of ten victims of the dreadful fire on a halting site in Carrickmines in South Dublin on 10 October 2015. The likely source of the fire was identified as a chip-pan left on an electric ring; the jury returned a verdict of death by misadventure. But this was no ‘misadventure’ - five adults and five children perished in the inferno because this “emergency temporary halting site” was exempt from health and safety regulations. As a recent Irish Times editorial noted, this ‘temporary’ site was established back in 2008, and for seven years the Dun Laoghaire-Rathdown County Council charged the families rent, but made no provision for their safety. So this was willful and discriminatory neglect, not misadventure. As the editorial put it, “What council tenants, other than Travellers in “temporary sites”, receive so little care from their landlords? And so little concern from politicians?” At the time of the tragedy, this Council was one of 15 that had not spent a cent of funding allocated for Traveller accommodation. 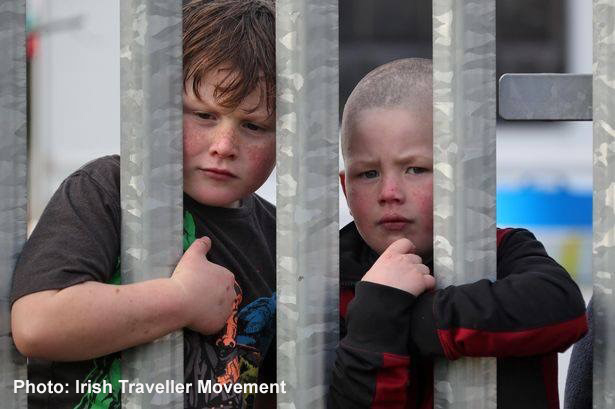 The neglect by local authorities one of the key features in the civil monitoring report by Pavee Point which revealed high levels of racism and prejudice, shocking rates of poverty and social exclusion, and exposed the National Traveller and Roma Integration Strategy (NTRIS) as plainly unfit for purpose. Local authorities consistently fail to comply with their statutory responsibilities and meet their targets to provide adequate and culturally appropriate accommodation for Travellers. Worse still, government data revealed that local authorities failed to draw down almost €4 million of a €8.8 million government pot, designated for Traveller accommodation in 2017. Five of these local authorities left their entire allocation unclaimed, while 14 local authorities failed to spend even half of the available funds. The Committee found that while some progress had been made, there is still a substantial deficiency in providing accommodation for Travellers. The comments provided by the Irish Human Rights and Equality Commission, demonstrated that a number of sites are in poor condition, lack maintenance and are badly located. The Committee found that “the situation has not been brought into conformity with Article 16 of the Charter”, and requested information on the adoption and implementation of all the measures envisaged in order to remedy the situation by October 2019. Remedy requires that institutional racism be called out, and racists who hold and abuse public office to deny Travellers their fundamental human rights and dignity be brought to book. Enforcement mechanisms are required to ensure local authorities meet their statutory obligations and use all available dedicated resources to provide Travellers with adequate and appropriate accommodation that fully conforms to health and safety regulations; for such willful and prejudiced neglect by those who govern exacts a terrible toll in human suffering.